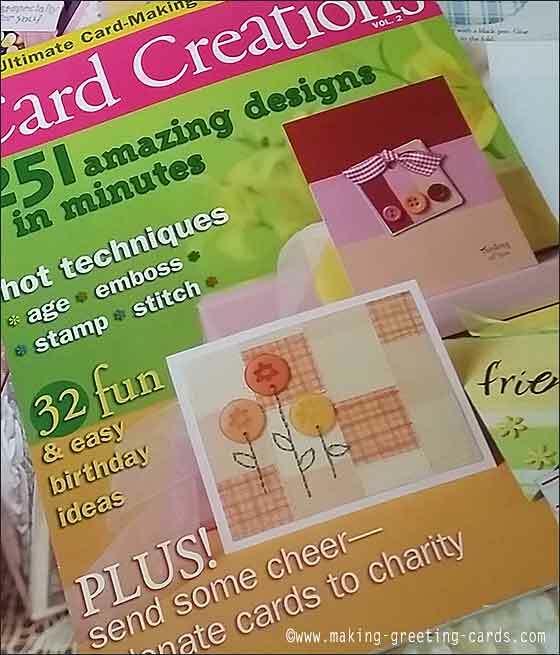 Best Card Making Magazines & Books : 'Must Have' For All Cardcrafters! 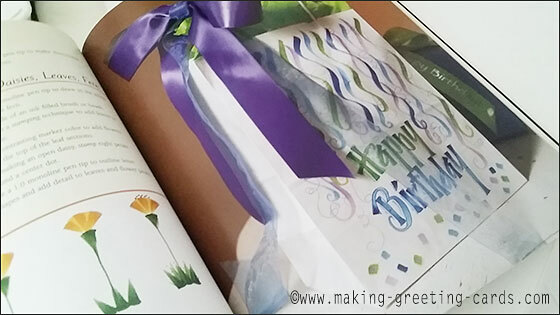 Best card making magazines and books are best browsed or read physically. What I mean is that it's better to hold a physical book in your hand then to view and read details of any handmade greeting cards electronically. Not sure how many of you will agree with me though. 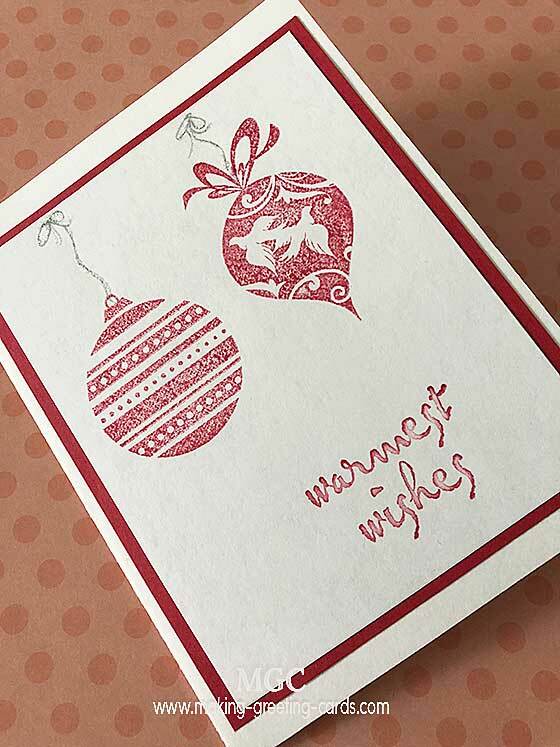 For us who are passionate about card making, just holding a book or a magazine and studying the intricate details of how the cardmaker created that particular greeting card is a pleasure in itself. And there is magic in paper. The photo printed on a piece of good quality paper feels so much tangible and inviting than on the screen of a smart phone, tablet or a desktop computer. Anyway, whichever you prefer, many of these cardmaking magazines and books are now in digital format so you can purchase them in the format you like and enjoy them most. Most importantly is that these resources enable you to create more beautiful cards. 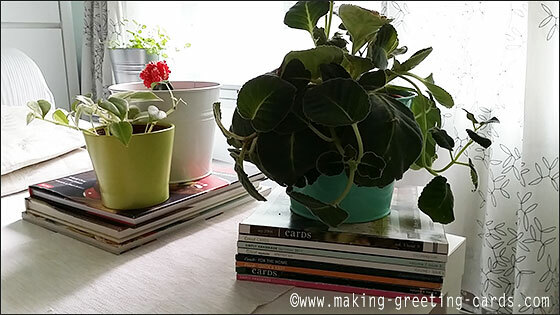 I love to place my craft books and magazines within reach; like the photo above, on the coffee-table under house plants. I would put out a few and change them at interval so that whenever I sit down, I can easily reach out and choose a book to browse through for inspiration. Many a time, I got up with ideas in my head and finding myself creating something beautiful. Is it necessary to purchase every cardmaking magazine in the market? Do you need to subscribe or buy every copy of the magazine? Not necessary. I have a few copies of each and when I browse through an old copy, it still inspires me to create something just from the design or card idea. Card making magazines and books are important resources especially when you are struck for ideas or going through a creator's block. Browsing through one or more of these books or rubber stamps magazines will inspire and help you to create better. 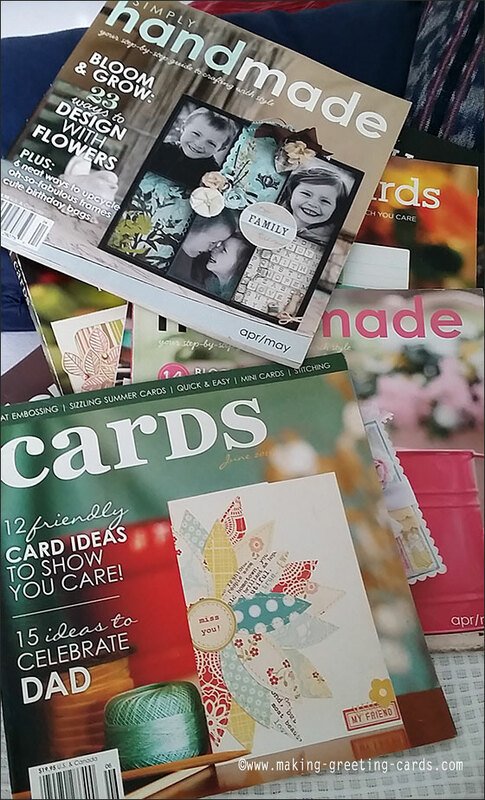 As a cardcrafter, I find it refreshing to receive my monthly fix of the best card making magazines especially and find out what other cardcrafters are making, received informations about the latest products, find out about the latest trends and color themes, etc. Usually, when I'm in a non-creative mood, browsing through one of these card making magazines with a cup of hot coffee will bring back the creative juice in me. So here are some of the best card making magazines and books that I have sourced and believe are helpful to us. I believe every craft-crafter should have some of these in their craft library. 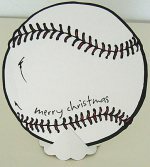 Best Card Making Books - Some books are just keepers and I find that these are a few of them. 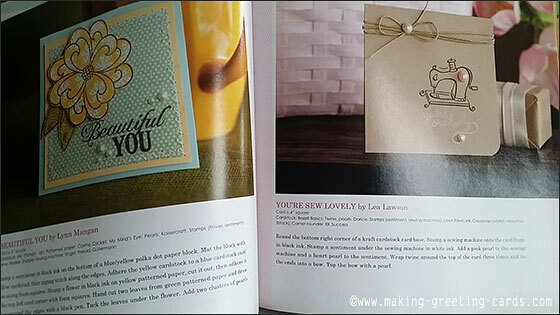 More Card Making Books - Beside books on card-making, there are other resources that will contribute much to the art of crafting our own handmade cards. 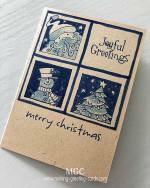 Asian Style Card Making Books - Oriental greeting cards - are they any different? Have a look at these card making books by Asian authors. I love the cardmaking magazines published by Northridge Publishing. Each magazine is around 8" x 8" in size and feels like you are holding a book. Two third of the page is taken up by a colourful print of the card and the other third with directions of how that particular card was created. Because the texts are against a white background, you don't have much difficulty reading them. And with the photo of the card so clear and big, looking at each card project is a pleasure. Beside Cards, there are also Simply Handmade, Create: For the Home, Create: quick & Easy Scrapbooks and more, Scrapbook and Cricut Cards. 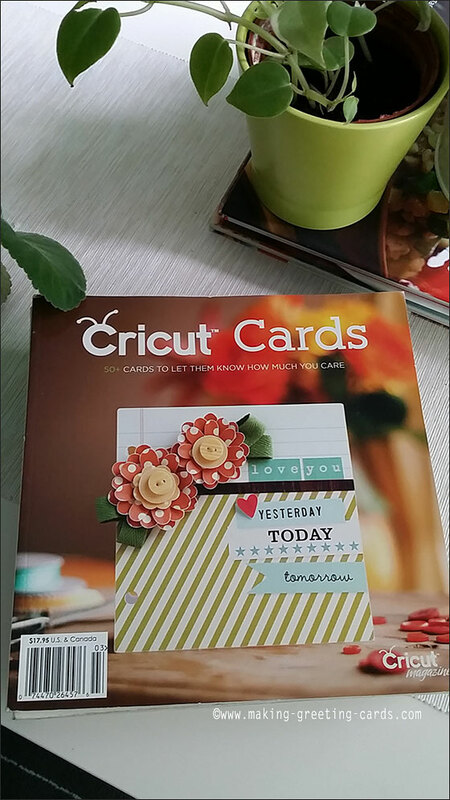 Anyone who owns a Cricut machine will love Cricut Cards; another magazines by Northridge Publishing. 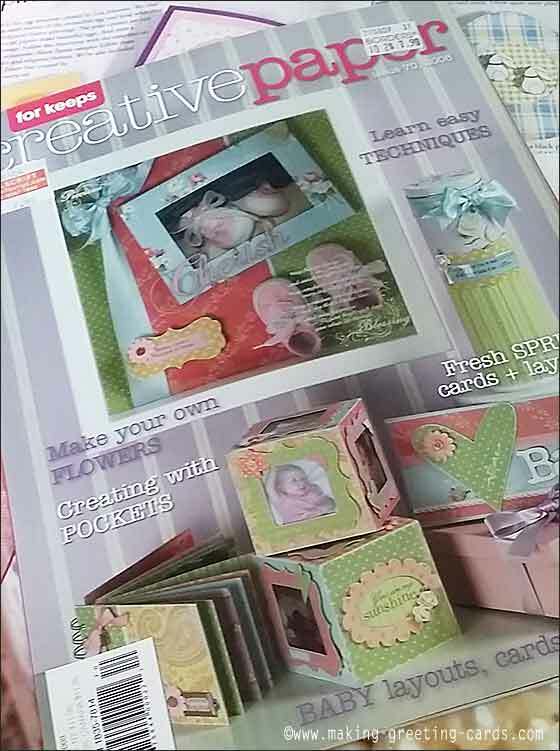 Card Creations is a Paper Crafts Magazines and has simple card designs and ideas which any newbies can easily follow and create. I also love the clear readable prints which make it easy for our eyes. 'for keeps Creative Paper' is a paper crafts magazine per say. 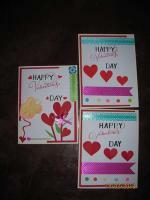 Included beside cards, are scrapbooking and other craft projects using creative design paper. The above are, in my opinion, some of the best card making magazines. If you have any that you think will be helpful and should be included here, please feel free to email me or just add your comments/recommendations below.